Getting started with Cart66 Cloud is quick and easy. After you have signed up for Cart66 Cloud, follow these steps and you will be up and running and ready to start making money in minutes. First you’ll want to download and install the Cart66 Cloud plugin. This will allow your WordPress site to seamlessly use your secure Cart66 Cloud store. After signing into your Cart66 Cloud account you can easily download the plugin on the WordPress Plugin page. Verifying the plugin ensures that everything is working as expected and that you won’t have any issues with slurping your checkout page. You can do this with a single click after you have installed and activated the plugin. 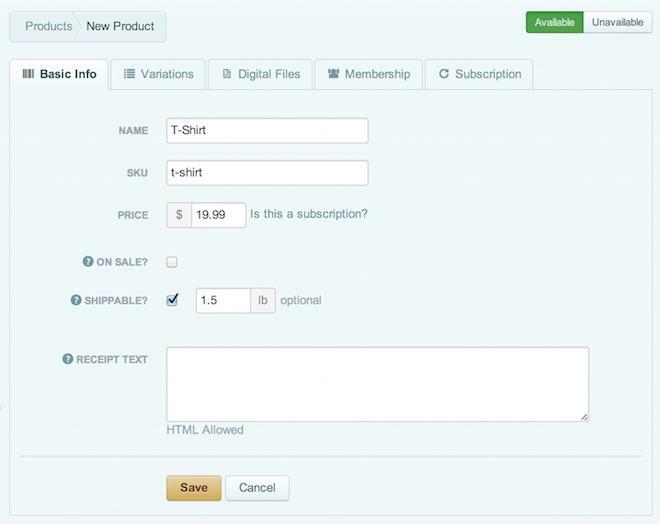 The last step in connecting the WordPress Plugin to your Cart66 Cloud store is to enter the Secret Key into the plugin settings. This Secret Key is shown both on the WordPress Plugin page and the Keys page. Creating products in Cart66 Cloud is easy. After logging into your Cart66 Cloud account click on the “Products” tab in the left side menu and you will see the screen to create a new product. 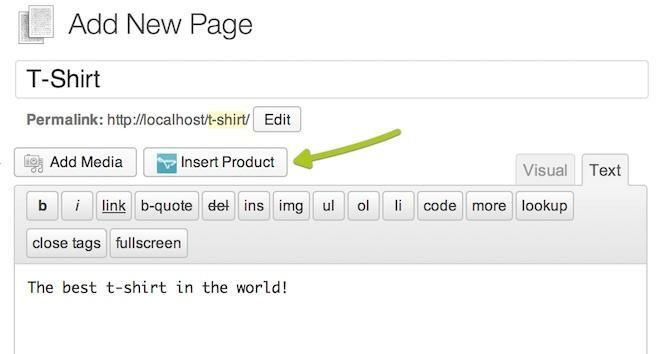 Clicking the Insert Product button will show a popup allowing you to easily find the product you want to insert. You can also do this with the cc_product shortcode. 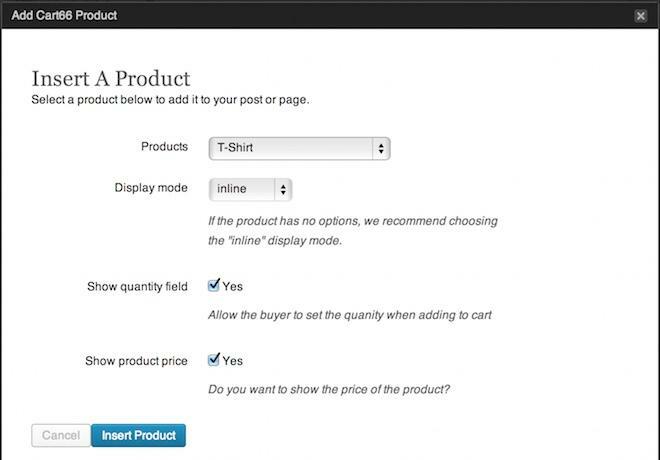 You can also choose a display mode which determines how the product form will be displayed on the page as well as hide the quantity or price fields. Next just click Publish to save your page and view the page. You should see your product form rendered in the page.